History is dramatic - and the renowned, award-winning authors Christopher Collier and James Lincoln Collier demonstrate this in a compelling series aimed at young listeners. Covering American history from the founding of Jamestown through present day, these volumes explore far beyond the dates and events of a historical chronicle to present a moving illumination of the ideas, opinions, attitudes, and tribulations that led to the birth of this great nation. 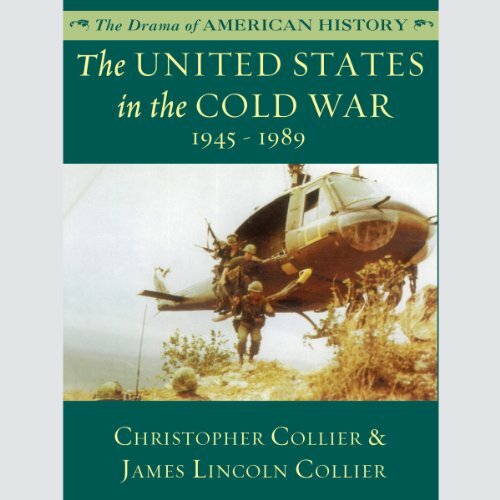 The United States in the Cold War examines the history of the United States from 1945 to 1989. Beginning with the effects of World War II, the narrative follows the Korean War, the Vietnam War, and the rise and fall of Communism.